Before we begin, today I am sharing a few of my Pre-Toddler Activity ideas over at All For the Boys. Be sure to click over and pay Allison a visit. 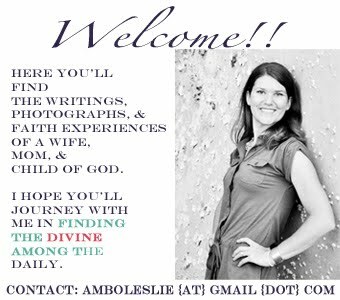 She is the lovely lady behind All For The Boys and does a wonderful job sharing ideas for birthday parties, crafts, experiments, forts, and so on. You can also read a fun interview I did with Allison in July, "May I Introduce Allison from All For The Boys." among other things. Developmentally, they will (typically) learn to put in before they learn to pull out, to knock down before stacking up and take apart before putting together. 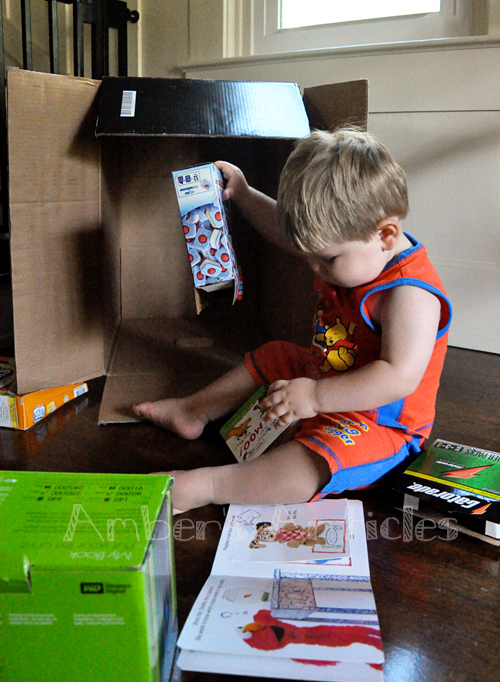 Besides the toys we have that foster each of these developmental milestones we use boxes. Boxes of all shapes and sizes that can be found in your pantry, your refrigerator, or your closet. Pack them with other objects such as books, balls, magnets, little people, etc. 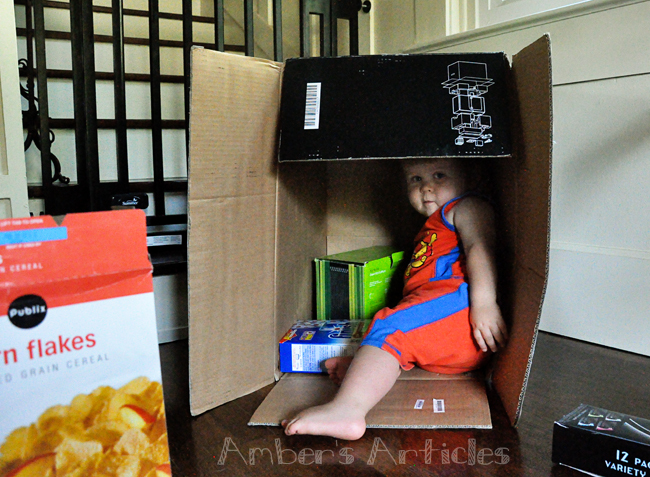 Give your child the largest box allowing him/her to pull out, pull apart, put in, stack, etc. the various boxes. 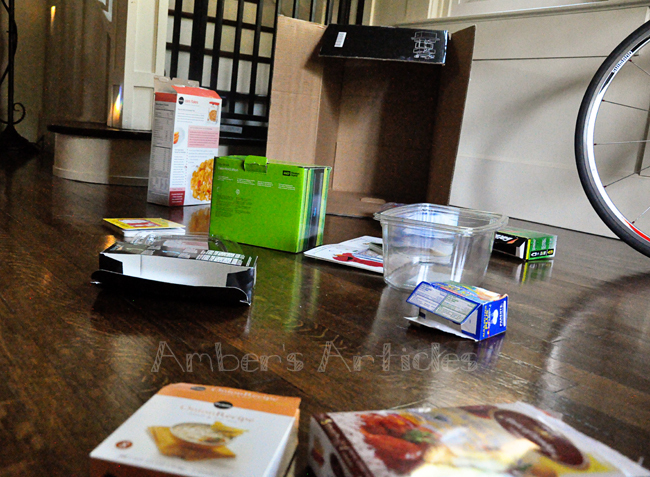 NOTE: For children not yet able to pull out, begin with various boxes that are not stacked inside one another. 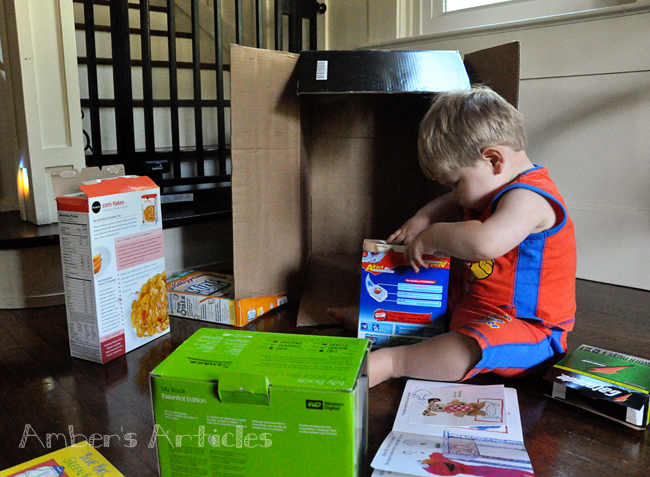 Encourage the child to put all of the smaller boxes into the big box or stack them and have your child knock them over. It's as easy (and cheap) as that!! Tip #3: Repetitive demonstration will aide your child in accomplishing a task he/she is currently unable to complete. Great ideas, will have to try these as well!